Please be aware that because Joe Locke is very active, this discography will be constantly updated so check back frequently. 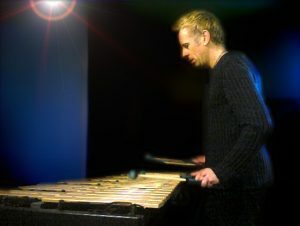 The Joe Locke Project diverges somewhat from the main thrust of this website which is dedicated mostly to music and artists of the 1950s and early 1960s. Born in Palo Alto, CA in 1959, Joe is much younger than most of my subjects and did not emerge as a professional musician until the late 1970s when, as a teenager, he made his first recordings. But he spent his early years in Rochester, NY, my home town, and was educated at the Hochstein School and the Eastman School of Music so we have quite a bit in common. Furthermore, he is of great interest to me in terms of representing an extension of the fascinating modern jazz vibraphone legacy originating with artists like Teddy Charles, Milt Jackson and Terry Gibbs. Since moving to New York City in the early 1980s when I first met him, Joe has developed into one of the most sought after and highly respected vibraphonists, composers and arrangers on the jazz scene. He has made numerous recordings as both leader and sideman in a variety of settings and styles ranging from straight ahead bebop to free improvisation to work with artists outside the jazz genre. A dramatic presence in live performance, Joe demonstrates exceptional technique, taste and versatility in all of his endeavors. I am very grateful to Joe’s close friend and manager Tom Marcello for assistance with this project. Many thanks also to Michael Fitzgerald and Steve Albin (JazzDiscography.com), Clayton McDonnell, Kendra Shank, Bill Gallagher, Darrell Grant, Terri Hinte, Ben Salzano, Dan Skea, Todd Barkan, Ned Corman (The Commission Project), Vic Juris, Bob Sneider, Johannes Enders, Jay Anderson, Kathy Jenkins (NLO Records), Bruce Crowther, Nadja von Massow, Luico Hopper, Igor Butman, Joris Teepe, Jeroen De Valk, Peter Mansell, Jill McManus, Kathleen Landis, Mike Smith (Runrig), Tom Kohn (Bop Shop), Barbara Vierow (NPR), Calvin Hill, Patricia Barber, Alastair Robertson (HepJazz Records), Alexandra Aron (Soundbrush Records), Elina Vasiltchikova, Gary Carner, Bill Damm, Ronald Lyles, Peter Smithson, Norbert Kreutzer, Masa Okabe, Thomas Marriott, David Budway, David Finck, John Fifield, John Basile, Jack Donahue, Ray Osnato (HighNote Records), Michael O’Neill, Ryan Cohan, Jovino Santos Neto, Mike Pope, Marie-Noëlle Pretto, Dane Maxim Richeson, John Bishop (Origin Records) and Joe himself.